At Wichita Optometry, our eye care team offers treatment for a wide range of eye conditions and diseases—including eye allergies! If you're suffering from eye allergies and looking for relief, you've come to the right place! We have a number of experienced optometrists on our staff who are happy to assess your symptoms and help you determine the best course for finding eye allergy relief. Eye allergies can have a number of causes, which is why scheduling an appointment with our eye doctor to narrow down the source of your allergies is always an important first step. 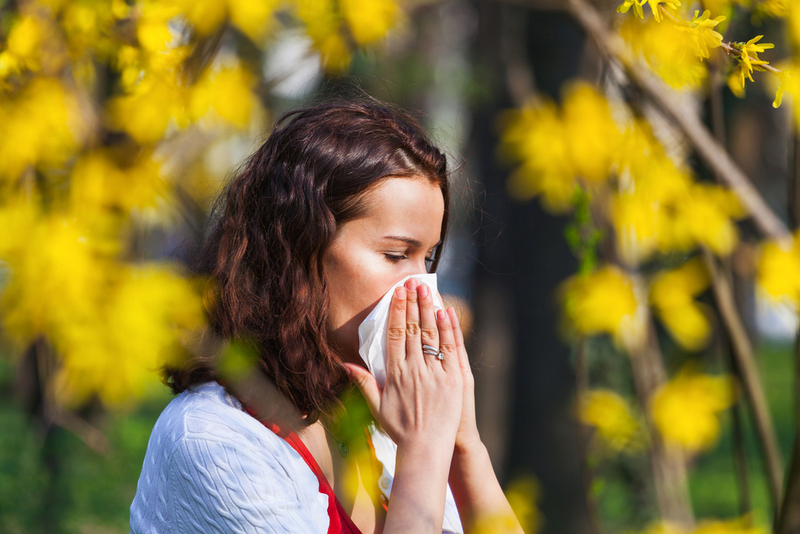 Some people suffer eye allergies due to seasonal changes, such as an increase in pollen or dander in the air. Others may have allergic reactions to things like cigarette smoke, certain perfumes, or even a new laundry detergent. If you're experiencing any of these symptoms and suspect you may have an eye allergy, we recommend that you schedule an appointment with our eye care team at your earliest convenience. The good news is that there are plenty of viable treatment options available to those who suffer from eye allergies. One of the most common recommendations that we will make for treatment in those with seasonal or outdoor allergies is that of store-bought eye drops, which can help to soothe irritation and lubricate the eyes. However, if you have tried these to no avail, there are also prescription medicated eye drops that we may be able to recommend to help with your specific eye allergy triggers. In situations where eye allergies are caused by irritants you may be able to control or avoid, some simple lifestyle changes may be all that's needed. For example, you may need to limit your exposure to cigarette smoke or switch to a different laundry detergent to see if that helps you find relief from your symptoms. If you're tired of suffering from eye allergy symptoms, our Wichita optometrist is here to help you. Schedule an appointment with the Wichita Optometry team by giving our office a call at (316) 942-7496.